Tim Hecker - Konoyo. Vinyl LP, CD. Bleep. 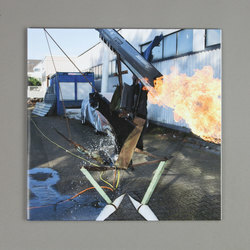 Where his previous album Love Streams (released on 4AD back in 2016) shone with the sort of silent, ultraviolet metallic flare that can only be caught ricocheting off the surface of spilt petrol when sunlight hits, Konoyo is heavily inspired by the Far Eastern surroundings in which it came to be and as such is far more mysterious and alien on the surface. 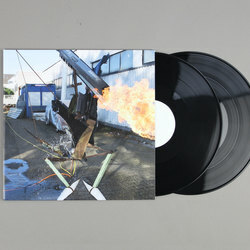 Its tired-eyed drones endlessly fight the urge to step up and come to life before your very ears, making each and every timbre tone and harmonic hit that Tim Hecker and the Gagaku ensemble summon up engulf your attention whole. Within its seven-song running time, Konoyo creates a sombre, ceremonial mood that is suffused with ritual yet haunted by regret. But make no mistake, the regret here is not one easily translated by just dipping into the music's glassy surface - the moments that made his Ravedeath album such a cathartic affair are left within the confines of memory and imagination, here the melancholy is directed toward unseen worlds. Konoyo is uttered in a language previously unheard yet familiar, combining elements of Western cinematics, Blade Runner-style overhead echoes and traditional Eastern instrumentation to create a cohesive experience that will leave you spellbound with every single second of its organic and romantic current. 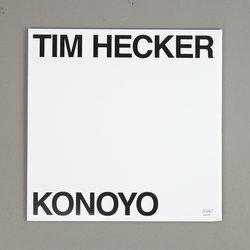 With Konoyo, Tim Hecker is taking a journey deep into the heart of his musical landscape, letting us roam deep within the endless fields that lay there. As such, it's an incredibly personal picture he paints, one hidden behind its abstract yet dazzling cover art, yet like the design implies, if you were to try and get a full understand of Konoyo in one sitting it would be pointless... This is music as a capsule to absorb yourself within for days on end. Yet the harder you try and grasp at each second that slowly drifts by, the faster it disappears into the ever closer darkness.